The following are relevant publications, research and work examples. 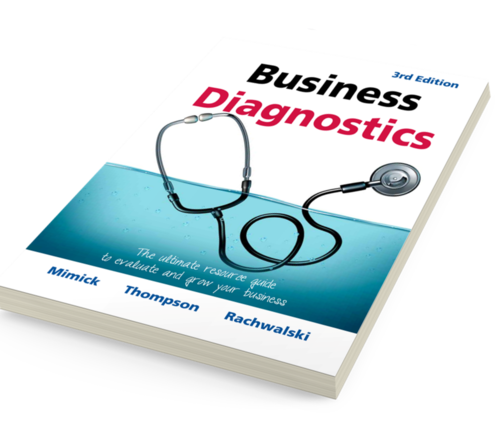 In 2016, Terry partnered with Mike Thompson and Rich Mimick to co-author Business Diagnostics, 3rd Edition ©. Refreshed with updated references, tools and tips and a new marketing section on digital techniques, this is an easy-to-use reference guide to evaluate and grow your business. Use the Business Diagnostics© Online Assessment Tool for a quick and insightful review of your business operations. Need to know how to do an external business scan? Click to view our Business Diagnostics videos and a playlist with all the elements you need to know about. As a management consultant with a marketing focus, it is important to look for opportunities to help clients deliver examples of work and build credibility. The following are examples of work done for clients. 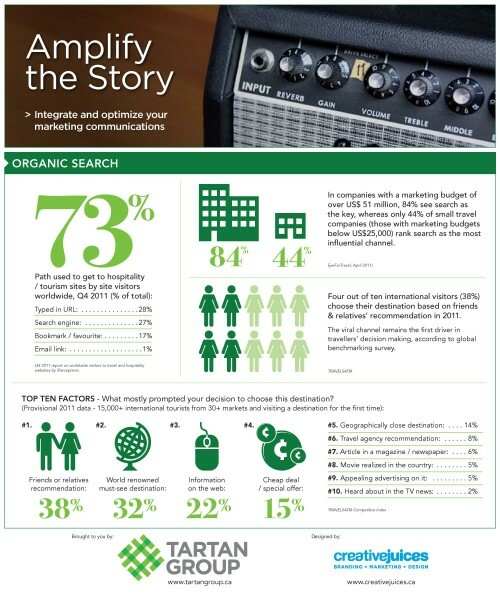 Terry was a regular contributor to the Tartan Group blog site writing content about digital strategy and creating tourism marketing infographics. Crea ting a case study is a great way to provide content. At the Tartan Group, a travel public relations company, Front Porch Perspectives has been leading the way into integrated marketing communications. 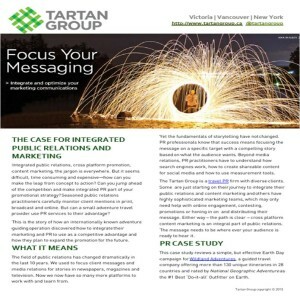 Click on the image to the left to view the Tartan Group Integrated Marketing Case Study. 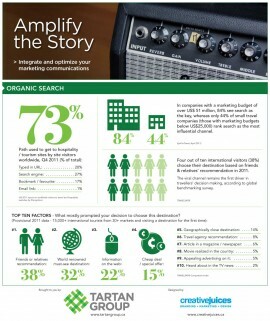 Example of how a small research project can be used for content marketing for a technology firm. At times, we are called on to not only come up with the content strategy but actually create the content as well. In this case, the client had an opportunity to present at a conference. 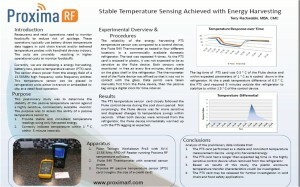 We created a small study and submitted it to the conference. Click on the image to view the poster. The study was accepted into the poster session Cold Chain Conference Bonn Germany: – providing opportunity to discuss not only the research but also the product. Content can then be redistributed and re-purposed on the web, across social media platforms and printed. One method to have a product noticed is to create a small research project and present it at conferences. The following is an example of a research project that is both relevant and used for marketing. Research for a poster session.